Data breaches are increasingly impacting businesses across the globe, with the average cost paid by a breached organization reaching $5.9 million at the end of 2014. The white paper, “The True Cost of Data Breaches in the Payments Industry,” provides a resource for payments industry stakeholders to understand the true impact a data breach might have on their organization. By analyzing and understanding the potential costs of a data breach, issuers, merchants, acquirers and processors can create the business case for developing a proactive data breach prevention strategy and for creating breach response plans. The white paper provides a resource for organizations to better understand the substantial tangible and intangible costs associated with data breaches, and why investing in strong preventive technologies is important. The impact of a data breach reaches all levels of an organization. 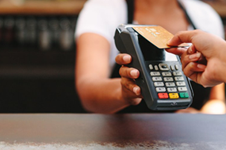 An upfront, preventative approach, such as layering EMV chip technology, tokenization and encryption, is an effective way to prevent breaches and reduce costs if a breach does occur. The Smart Card Alliance Payments Council developed this white paper to provide an educational resource on the potential costs that could be incurred during a data breach. Participants involved in the development of this white paper included: ABnote, American Express, Capgemini, CH2M HILL, Chase, CPI Card Group, First Data, Fiserv, Giesecke & Devrient, Heartland Payment Systems, Infineon Technologies, Ingenico, INSIDE Secure, Intelcav, JCB International Credit Card Co., Ltd., NXP Semiconductors, OATH, Oberthur Technologies, OTI America, Tyfone, Verifone, Visa Inc., Wells Fargo.